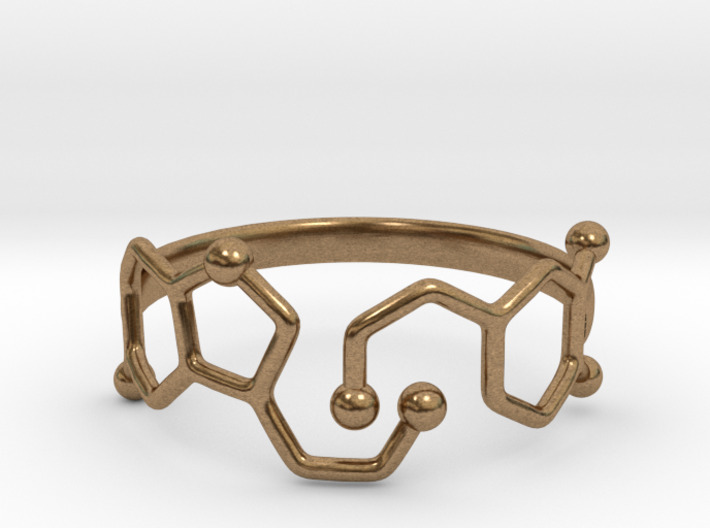 Dopamine and Serotonin Molecule Ring. Dopamine is a neurotransmitter in the brain that is involved with feelings of love, devotion and excitement. Serotonin is sometimes called the happiness hormone, helping to regulate mood, prevent depression and generate feelings of happiness. Drugs that alter serotonin levels are used in treating depression, anxiety and social phobia. If you feel drawn to these words, then this shop is for you. Here you will find the science and nature jewelry that you may have been looking for. You might even find something that you haven't been looking for but that makes you think, I've got to have that! State your passion by wearing a piece of jewelry that will reflect who you are. Or find a gift for the scientist in your life who thrives on the quest to understand our world. 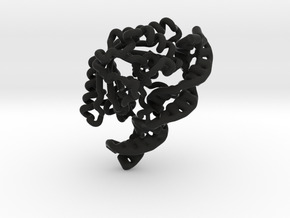 Disruptive jewlery is a collaboration among four people: Scott and Tiina from 3DPrintedSkull, and Luk and Idoya from Somersault18:24, four creative people that decided to dive into the world of 3D printing. It takes guts to stand out, but you just did! But there is more...When you buy from us, not only will you get a unique piece of art but you will also become an emissary of science. 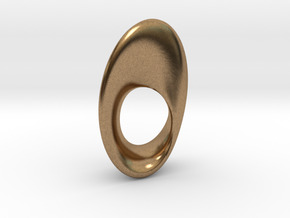 For every science jewelry purchased, we fund scientific endeavors to bring science closer to people.That's right, we will invest part of the profit in educational resources for scientists, students and teachers. Our goal is to make these resources available for everyone. We at somersault18:24 believe in the synergy of art and science - a rare combination. We aim to unite these two disciplines; to inspire creativity and create awareness bringing science to a wider audience. Together, we can achieve this by your purchase - part of the proceeds will fund our scientific endeavors. So enjoy our fine jewelry and wear it knowing that you’ve been part of a noble cause. Feel free to drop us a message if you have questions or need assistance. We’ll be happy to lend a hand. 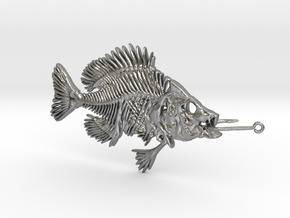 The memento mori collection uses CT scans of real animal skulls to create jewelry and beautiful skull replicas. 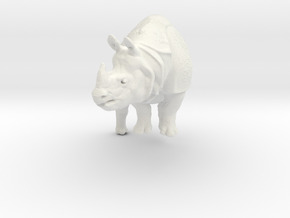 Each of our sculptures is in effect a “memento mori” or remembrance of the death of the individual and of the species. Being mindful of death is of course a way to celebrate life, both of the individual and the species. Our fascination with the intricacy and beauty of nature’s creations is exemplified in our designs.